At Motor Club of America, thousands of customers are now earning a part time or full time income referring others to join our Motor Club. Unlike most Motor Clubs, Motor Club of America invest 100% of it’s advertising cost directly into it’s members. Motor Club of America does not invest in radio, television, print, or internet advertisements. Word of mouth advertising is the chosen format and it makes our customers happy to have extra income coming in by simply sharing our benefits with others. Being a Motor club of America member is a great way to earn extra cash from home, while spending more time with your family. 1. 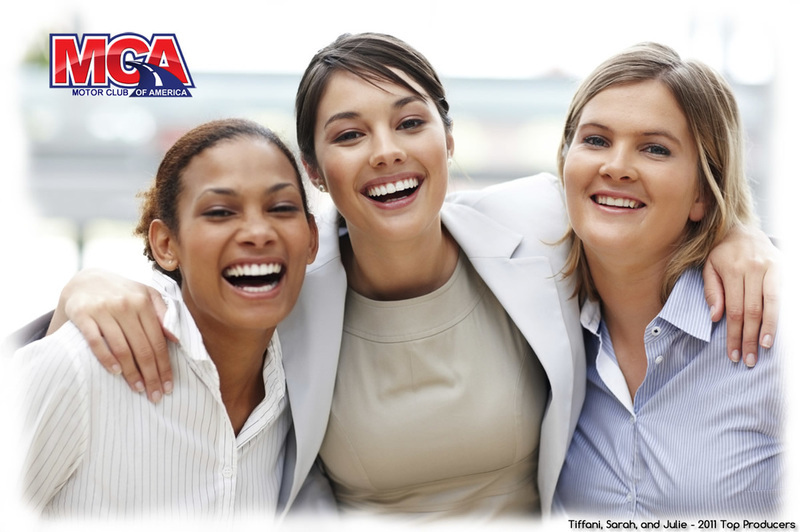 Motor Club of America trains you to work from home and in the field. Every time a person that you have enrolled sells a membership to someone else, Motor Club of America will pay you a $6.00 override bonus. As an example, if you were to enroll “John,” you would earn $80.00. If “John” enrolls 3 people during the sales week, then you will earn $6.00 X 3 of John’s enrollments = $18.00. John has just earned you $18.00 for enrolling 3 people. This $6.00 Override is paid out weekly. This is not a monthly bonus. Once we have processed your membership, you will receive your very own Motor Club of America web site, application forms, brochures, training, and a back office for absolutely free. You will receive your membership ID card through the U.S. Mail within 2 weeks, although you will receive your membership ID number immediately after your payment has been processed. Your Sponsor: We have chosen a sponsor for you that is dedicated to team leadership and helping you achieve the success you desire as an Independent Sales Associate. Your sponsor will contact you within 24 hours after your membership has processed. Please make sure your contact information is correct when you join Motor Club of America. Payment Options: Motor Club of America accepts any financial card with a Visa, MasterCard, or Discover logo.